I received a lot of emails last week about the survey opportunities. I did find a couple more for those of you who are interested. Again, I will only post the legitimate survey opportunities but make sure you read all the details. Some pay cash, others offer credits. You won’t break the bank with these opportunities, but it’s great if you need a little extra for the holidays! 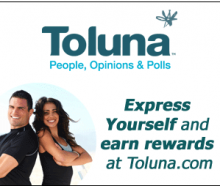 Toluna: Earn points worth $1 to $5 each time you qualify for and complete a survey! MindField: Once you reach $5, you’ll receive a check in the mail. 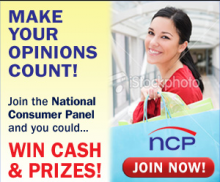 MySurvey: Redeem points for cash, prizes or charity donations with just a few simple clicks. J.D. Power Panel: Earn points to redeem for prizes. MyView: You earn valuable rewards that you can spend all over the web. Mindfield is back! Make a little money from home. I’ve told you about several legitimate marketing companies that are looking for people to take surveys from home. 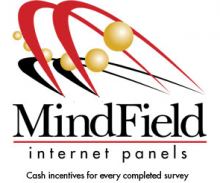 MindField is one of the most reputable, with the highest payout. Sign up for MindField and start earning a little coffee money! 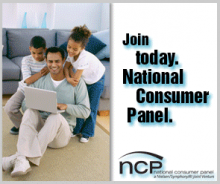 Nielsen Home Scan Consumer Panel started accepting new applications too. Both of these are great opportunities if you have the time and want to make a little something extra. Synovate is back! Synovate is a leading global provider of market research information and analysis with over 60 years of experience. This is by far one of the best and easiest survey provider out there and they are looking for people. If you are looking to earn a little extra from home Synovate marketing might be just what you are looking for. Sign up for Synovate today and start earning some extra cash! When we decided to move to the city, we knew money was going to be tight. It’s always hard to find legitimate ways to make money from home. I’ve heard about a ton of opportunities that ended up being scams. Not only that, a huge waste of time. One of my blogger friends told me about Toluna. 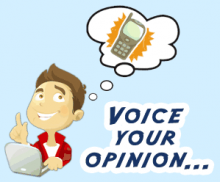 They are a third party that collect information via surveys and product reviews. I’ve been doing it now for several months. I have two things to say about Toluna. Some of the surveys can be very long. You can pick and choose what surveys you want. I only do surveys with high point values. These tend to be the longer ones. Wait until the kids go to bed and have fun with the surveys. You should also use an alternate email since you will be getting surveys several times a day. Some of the great surveys go quickly. 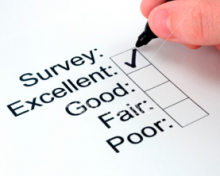 So if you see high value survey, grab it! This opportunity will not make you a ton of money. Maybe enough for your latte fund. However, it’s great to know there is a little something extra coming in. Sign up for Toluna and give it a try. Let me know how it works for you.